UCSF Department of Radiology and Biomedical Imaging has cultivated the knowledge, skills and highly focused talents of an extraordinary team of clinicians, researchers and teachers. Each doctor is a seasoned expert, thoughtful scientist, and caring professional – as well as a specialist in multiple fields of innovative medical practices. Dr. Ronald Arenson’s education and career prior to his arrival at UCSF uniquely prepared him to instigate pivotal changes in the field of radiology, and impacting the healthcare industry on a global basis. After working as a systems engineer at IBM for most of the 1960s, Dr. Arenson joined the Navy and served at the National Naval Medical Center in Bethesda, Maryland. In 1976, he took his first academic appointment. Since joining UCSF, he has benefited the department by working multiple focus areas including medical informatics, clinical productivity, and departmental management. His successful efforts to implement a picture archiving and communication system (PACS) began in 1992, years before other institutions were considering such an approach. Dr. Arenson’s commitment and particularly deep understanding of workflow issues established a PACS system that became the model for the rest of medicine. Dr. Arenson served as President of the Radiological Society of North America (RSNA) in 2015. He recently finished his term on both the Advisory Council of the National Institute of Biomedical Imaging and Bioengineering and the NIH Council of Councils. He has served as the President of the Association of University Radiologists, the Society of Chairman of Academic Radiology Departments, the Board of GE-Radiology Research Academic Fellowship (GERRAF) and the Academy of Radiology Research. He is also past President of the medical staff at UCSF as well as past Chairman of the Credentials Committee. In March 2016, the European College of Radiology awarded Dr. Arenson honorary membership. Dr. Arenson served as department chairman from 1992-2017, and was instrumental in building the respected, accomplished and vital department that exists today. Dr. James Barkovich is professor in residence and chief of Pediatric Neuroradiology in the Department of Radiology and Biomedical Imaging at UCSF. He was past president of the American Society of Pediatric Neuroradiology 1993-1994, president of the American Society of Neuroradiology 1998-1999 and secretary general of the World Federation of Neuroradiological Societies from 2002-2006. Dr. Barkovich specializes in combining his knowledge of genetics, chemistry, and imaging to understand and diagnose developmental disorders of the brain that lead to neurological disorders in infants and children. His main research interests include use of imaging techniques to improve early diagnosis of neonatal brain injury, particularly through the use of MR techniques. In addition, he collaborates with geneticists and developmental neuroscientists to better understand normal brain development and deviations from normal development to recognize, differentiate, and classify groups of genetic disorders and their relation to abnormal brain development and epilepsy. Dr. Barkovich’s research has established correlations between MR findings and causes and outcomes in patients affected with multiple disorders. He has authored or co-authored more than 400 peer-reviewed published articles, 9 textbooks and 41 book chapters. Dr. Bucknor has concentrated his research and diagnostic practices on musculoskeletal imaging as a subspecialty, along with detection and treatment of metabolic bone disease and bone/soft tissue tumors. He has recently worked with high-intensity focused ultrasound (HIFU), a technique that allows precise adjustments to individualize treatment of musculoskeletal diseases such as bone metastases, cancer, desmoid tumors and osteoid osteomas. 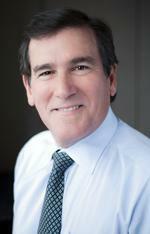 Dr. Peter W. Callen, MD, is a Professor of Radiology, Obstetrics, Gynecology, and Reproductive Sciences at UCSF. Dr. Callen’s general research has focused on sonographic detection of abnormalities and avoiding false positive diagnosis of abnormalities in obstetric, pediatric and adult patients. A specific area of interest has been in fetal dysmorphology and the detection of abnormalities involving fetal, neural axis, thorax, skeletal system, genitourinary tract, gastrointestinal, and abnormalities of the placenta and umbilical cord. Dr. Callen has published more than 200 peer-reviewed articles, and 65 book chapters. His textbook, Ultrasonography in Obstetric and Gynecology, is currently in its fifth edition and the most extensively used book on obstetrical ultrasound worldwide. A sixth edition is in preparation. William P. Dillon, MD, is the Elizabeth A. Guillaumin Professor of Radiology in the Section of Neuroradiology and Executive Vice-Chair at Radiology and Biomedical Imaging at UCSF. He was chief of the Section of Neuroradiology at UCSF from 1992 until 2015. His interests include imaging of the head and neck, spinal pain management, imaging of stroke, vascular diseases of the brain, and imaging of brain tumors. Dr. Dillon is past president of the American Society of Head and Neck Radiology (ASHNR) and the American Society of Neuroradiology. 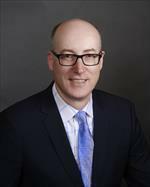 Dr. Dillon received the Gold Medal from the ASHNR in 2008 and the Gold Medal from the American Society of Neuroradiology in 2015, noting in particular his “invaluable” scientific contributions to the subspecialty. Dr. Dillon was a Senior Editor for the American Journal of Neuroradiology from 1998 to 2011, and has been a co-investigator in 25 funded projects and 10 clinical trials. He has published over 275 articles, 23 book chapters, and 3 books. Dr. Dillon received the Francis A. Sooy, MD teaching award for Clinical Excellence from the UCSF Department of Otolaryngology in 1993, and the J. Elliott Royer award for contributions to clinical neurology in 2011.He was also the recipient of the Outstanding Researcher Award from the American Society of Neuroradiology in 2014. He has been elected as one of the Best Doctors of America every year since 1995. 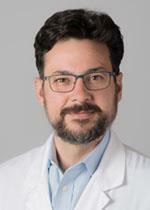 Dr. Brett M. Elicker has expertise in cardiac and pulmonary imaging, and some of his professional Interests include high-resolution computerized tomography (HRCT) in the evaluation of diffuse lung disease, imaging in patients with lung transplants, and thoracic vascular imaging. He is an Associate Professor of Clinical Radiology and Chief of the Cardiac and Pulmonary Imaging Section at the University of California, San Francisco. As the Chair of the Postgraduate Education Committee in the Department of Radiology, he is committed to maintaining the high quality of UCSF's educational offerings to practicing radiologists. Dr. Elicker has published dozens of articles, as well as book chapters, and other significant publications. Dr. Alisa D. Gean is a professor emeritus of Radiology, Neurology, and Neurosurgery, and is a founding member of the Brain and Spine Injury Center (“BASIC”) at UCSF. She has written extensively on the topic of traumatic brain injury. Among her interests are craniospinal trauma, maxillofacial and orbital trauma, non-traumatic intracerebral hemorrhage, HIV/AIDS, neuroimaging, MR imaging, traumatic brain injury, and central nervous system stroke. Dr. Gean has previously held positions as a San Francisco mayoral delegate to the Philippines, Vietnam, and China, and she continues to volunteer as a neuroradiology consultant to the Asia/Pacific Rim. She has delivered over 200 national and international invited lectures, written 4 books, 33 book chapters, and over 100 peer-reviewed manuscripts and scientific abstracts. In addition to her medical work, she maintains an abiding interest in wine, which has led to several significant international certifications. 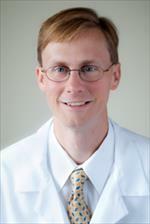 Dr. Glastonbury is the Interim Chief of the Neuroradlology Section. Pushing the hard questions in medicine, and contributing to the conversation about how radiologists can best collaborate with medical teams, Dr. Glastonbury also serves as Quality Assurance Chief for Neuroradiology, working closely with the technologists on all campuses to ensure imaging quality and excellent service for patients and clinicians. In addition, Dr. Glastonbury is Co-Director of the Radiology and Biomedical Imaging Faculty Mentorship Program. Dr. Glastonbury’s academic and clinical interest is in the area of head and neck malignancies and the detection of nodal disease. She works closely with radiation oncologists and head and neck surgeons to improve the care of head and neck cancer patients. Dr. Ruth B. Goldstein is Chief of Ultrasound in the Department of Radiology at UCSF., Dr. Goldstein has active roles in the clinical programs of Fetal Treatment, Transplantation, Nephrology, Surgery, and Obstetrics and Gynecology. Dr. Goldstein is a clinical researcher with an interest in improvement of sonographic observations in fetal imaging. She has extensive experience in other prenatal therapies including radiofrequency ablation of cardiac twins, laser ablation for twin-transfusion syndrome, and prenatal repair of fetal myelomeningocele. Another research interest of Dr. Goldstein’s is thyroid cancer imaging and preoperative evaluation. 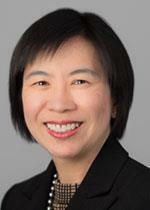 She conducts ongoing research on long-term outcomes of patients with thyroid nodules. Her professional interests also include post-menopausal bleeding, saline infusion sonohysterography, fetal anomalies, fetal chest mass, fetal central nervous system, sonography versus MRI, and periventricular leukomalacia. Dr. Goldstein has written extensively on the fetal central nervous system, fetal cerebral ventricle and posterior fossa, and on the management of fetal congenital diaphragmatic hernia. 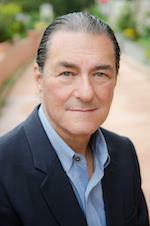 Dr. Goldstein has published over 127 articles and 34 book chapters. Dr. Robert Gould is Emeritus Professor and former Vice Chair of Radiology for Technology and Capital Projects at the UCSF. Dr. Gould is also the Director of the Laboratory of Radiologic Informatics, which is responsible for the department’s Picture Archiving and Communication System (PACS). He is currently involved in a Department project to install a Decision Support system that could potentially decrease patient radiation exposure by reducing unnecessary procedures and providing the referring clinician with alternative imaging methods that do not use ionizing radiation. He is a member of the Department of Radiology and Biomedical Imaging Operations Committee, Safety Committee and Radiation Oversight Committee. 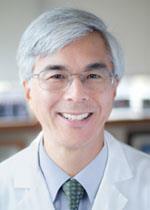 He is a member of UCSF Campus Radiation Safety Committee and Radioactive Drug Research Committee. Additionally, Dr. Gould is a member of the Medical Center Radiation Protection Committee. Dr. Gould has been involved in efforts to monitor and minimize radiation exposure to personnel involved in the use and delivery of radiation in clinical and research environments and in efforts to monitor and minimize exposure to patients undergoing an imaging procedure. These efforts have included the development of guidelines and standards for radiation use and quality improvement projects designed to reduce patient dose. A strong advocate of early mammogram testing, Dr. Greenwood has reiterated her belief in starting annual mammography at age 40, in response to the 2015 guidelines proposed by the American Cancer Society to raise the minimum age for women to start being tested to forty-five. Her specialties include breast MRI, radiogenomics, screening mammography, percutaneous breast biopsies, resident/medical student education. Outside of radiology and her medical practice, Dr. Greenwood also finished in the top 1% of all female runners in the 2015 San Francisco Marathon. Dr. Hess completed his PhD in Electrical Engineering at the University of Illinois in 1998, and his MD at the University of Illinois in 2002. 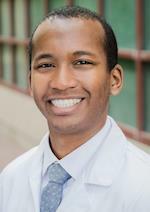 He was in the first class of NIH T-32 radiology research trainees at UCSF, where he served as a T-32 scholar in 2005-2006. He served as Chief Resident from 2006-2007 and was the recipient of the department's Elmer Ng Award for outstanding resident in 2007. His Diagnostic Radiology residency was completed at UCSF in 2007, followed by a UCSF Neuroradiology fellowship completed in 2008. Dr. Hess joined the Neuroradiology Section faculty the same year. He became chief of Neuroradiology in 2015, until 2018 when he became Chair of the Department of Radiology and Biomedical Imaging. Dr. Hess’s research interests lie in the translational application of MR imaging techniques to vascular disease, brain development and degeneration, and epilepsy, especially using diffusion imaging and ultra-high-field MRI. Dr. Steven Hetts is Chief of Interventional Neuroradiology at the UCSF Mission Bay Hospitals, where he provides cutting-edge, minimally invasive endovascular therapy for children and adults with cerebrovascular disease and tumors, including retinoblastoma. He founded the Interventional Neuroradiology services at San Francisco General Hospital and the San Francisco Veteran’s Administration Hospital, where he served as Chief until 2015. Throughout his career, Dr. Hetts has maintained an active clinical practice at UCSF Parnassus, treating adults with brain aneurysms, arteriovenous malformations, dural arteriovenous fistulas, spinal vascular malformations, and tumors including meningioma. Dr. Hetts is also the founding co-director of the UCSF Hereditary Hemorrhagic Telangiectasia Center of Excellence where he and his colleagues provide care for patients with vascular malformations of the brain, severe nosebleeds (epistaxis), and arteriovenous malformations of the lung and other organs. As Co-Director of the Interventional Radiology Research Laboratory, Dr. Hetts is involved in translating basic science and engineering research into clinical applicability. 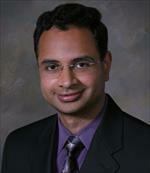 The main theme of his research is development of novel image-guided endovascular devices and techniques for the treatment of stroke, tumors, vascular malformations, and other conditions accessible through the blood vessels or skin. He has been the principal investigator on an NIH-sponsored project to develop remote-controlled endovascular catheters for use in interventional MRI. This could revolutionize stroke treatment, allowing doctors to visualize living versus dead brain tissue in real-time during their surgeries. He is also the principal investigator on an NIH-sponsored project to develop an endovascular filtration device to reduce systemic toxicity during intraarterial chemotherapy for a variety of tumors. Such a device could not only reduce the side-effects of chemotherapy, but also enable better tumor control and, in some cases, cure. Dr. Hetts’ research projects have received over $4.5 million in federal and foundation funding. 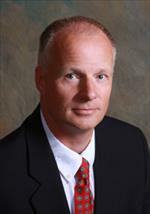 Dr. Hetts has published over 120 peer-reviewed articles and book chapters. He has lectured on interventional neuroradiology clinical practice and research on six continents. With colleagues in the IR Research Lab, Dr. Hetts helped form a startup company, ChemoFilter, to develop endovascular filtration devices. This company was nominated for Medical Device Startup Company of the Year in the First Annual California Quantitative Biology Awards in 2015 and was acquired that year by Penumbra, Inc, an Alameda-based maker of endovascular devices. In 2015, Dr. Hetts was named a Fellow of the Rosenman institute at QB3, and he advises other UCSF faculty and affiliates on developing translational research to bring innovative ideas to patient care. Dr. Randall T. Higashida is a Professor of Clinical Radiology, Neurological Surgery, Neurology, and Anesthesiology at the University of California, San Francisco. He is Chief of the Division of Interventional Neurovascular Radiology at UCSF Medical Center, Dr. Higashida’s basic research studies newer, more innovative techniques to treat a variety of neurovascular disorders including aneurysms, vascular malformations, tumors, and vasospasm in animal models and in active clinical practice. With expertise in Neuro-Interventional Radiology, he specializes in minimally invasive treatment of complex cerebrovascular diseases and stroke. His professional Interests include intracranial aneurysms, angioplasty of vasospasm, management of acute hemorrhage, and intravascular closure of carotid cavernous sinus fistulas. Dr. Higashida and his colleagues have pioneered many of the techniques, devices, and indications for treatment of a variety of complex neurovascular disorders. Dr. Higashida has published over 305 scientific articles on stroke and related topics, and he authored over 122 book chapters. He is on 10 scientific editorial boards and serves as a manuscript reviewer for 9 additional journals. Dr. Hylton is a professor in residence in the Department of Radiology and Biomedical Imaging, co-director of the Breast Cancer Research Interest Group, and director of the Breast Imaging Research Group at UCSF. She has been integrally involved in the development of magnetic resonance imaging for the detection, diagnosis, and staging of breast cancer. 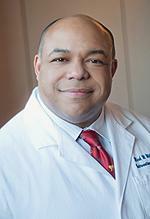 Dr. Hylton has been an internationally known leader in the field of breast MRI for more than 20 years. 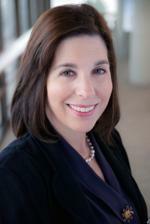 Her research addresses the clinical optimization and evaluation of breast MRI technology. Her current research program focuses on the clinical evaluation of MRI techniques for characterizing breast cancer response to treatment. She is the principal investigator for American College of Radiology Imaging Network (ACRIN) trials 6657 and 6698, sequential, multi-center clinical trials evaluating breast cancer response to neoadjuvant chemotherapy. She serves as the imaging chair for the I-SPY TRIAL, an adaptive Phase II clinical trial of targeted agents for breast cancer. Her laboratory collaborates closely with a multi-disciplinary team of radiologists, surgeons, oncologists, and science researchers nationwide to optimize MRI techniques for the clinical management of breast cancer patients. Dr. Hylton was among the first group of scholars named to the Susan G. Komen for the Cure’s Scientific Advisory Council. She served as co-leader for the DHHS Office on Women’s Health International Working Group, where she helped to identify and address barriers to clinical dissemination of breast MRI. She also served as the institutional principal investigator of the NCI International Breast MRI Consortium, which was the first large multi-center clinical trial evaluating breast MRI for breast cancer diagnosis and staging. 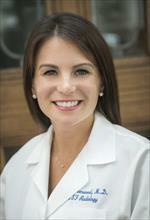 She currently leads an NCI-funded Academic-Industrial Partnership project in collaboration with Hologic, Inc. to develop a software platform to measure breast tumor response, and an NCI Quantitative Imaging Network (QIN) effort to develop standards and quality control processes for quantitative breast imaging in clinical trials. She has over 120 published research articles, and has written 13 book chapters and over 130 abstracts. Working at the forefront of breast imaging, Dr. Joe also grapples with hard policy issues such as mammography screening strategies based on safety, diagnostic needs, and disease timelines. She is the chief of Breast Imaging at UCSF Radiology. Developing a breast imaging program was a natural progression based on Dr. Joe’s research interests in breast MRI and breast cancer detection, and treatment monitoring. 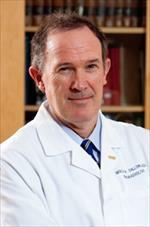 Dr. Robert K. Kerlan, Jr. is chief of Interventional Radiology at UCSF Mt. 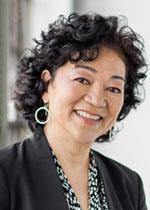 Zion Medical Center, and President-Elect of the UCSF medical staff. Dr. Kerlan's primary research interest is the management of liver disease including biliary disease and portal hypertension. He has performed research in the optimal management of patients with liver cancer awaiting liver transplantation. Dr. Kerlan has also been closely involved with the development of stent grafts to prolong the durability procedure of transjugular intrahepatic portosystemic shunts (TIPS). He has 202 published articles, and he has written 20 book chapters, 3 books, and 5 significant publications. Dr. John Kurhanewicz is a professor in residence in the Department of Radiology and Biomedical Imaging and the Department of Urology and Pharmaceutical Chemistry at University of California, San Francisco, and a member of the California Institute for Quantitative Biology and UCSF Cancer Center. He is on the faculty of the UCSF-UCB Bioengineering Graduate Group. He is the director of the UCSF Body Research Interest Group, the Biomedical NMR lab, and the Kurhanewicz Laboratory at UCSF. Dr. Kurhanewicz and his colleagues have developed a large prostate cancer imaging program at UCSF, involving the application of advanced magnetic resonance imaging techniques (metabolic, diffusion and perfusion-weighted MRI) to provide a more accurate assessment of the extent and aggressiveness of prostate cancer in individual patients. This multiparametric 1H MRI prostate cancer staging exam is currently being used at UCSF to help over 1,000 men a year decide on their best therapeutic course. He is also currently involved in the development and clinical translation of a new molecular imaging technique using hyperpolarized 13C-labeled metabolic substrates that has the potential to revolutionize the way MR imaging is used in the risk assessment of prostate cancer patients. He led the first clinical trial of this technology at UCSF and is involved in three ongoing clinical trials investigating its clinical utility. 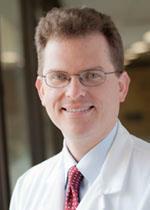 Dr. Kurhanewicz has published over 230 peer-reviewed manuscripts and19 book chapters, and has been cited 16,089 times. He is a member of 7 scientific societies, serves on numerous scientific review panels for the National Institutes of Health, the Department of Defense, and the American Cancer Society, and reviews for more than 20 journals. He has 25 years of mentoring in the areas of advanced MR cancer and molecular imaging, and has mentored over 120 graduate and undergraduate students, medical fellows and junior faculty. Dr. Thomas M. Link, is Chief of the Musculoskeletal Imaging Section in the Department of Radiology and Biomedical Imaging at UCSF. As Clinical Director of the Musculoskeletal and Quantitative Imaging Research (MQIR) Group, Dr. Link’s main interest is translational research, providing clinical background to basic science researchers, assessing clinical feasibility of research projects and applying new imaging techniques in clinical studies. 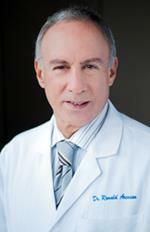 His specialties are bone tumors and interventional procedures, osteoporosis and osteoarthritis. Dr. Link’s research program has five main focuses: imaging of osteoporosis, particularly developing new imaging techniques for assessment of bone quality and density, application on new imaging techniques for the clinical assessment of osteoarthritis, cartilage and prevention of cartilage degeneration, new imaging sequences for musculoskeletal imaging at high field, and MR guided high intensity focused ultrasound for treatment of osseous abnormalities. 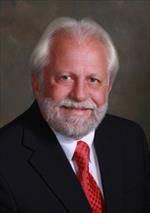 Dr. Link has published extensively with 309 articles, 15 reviewed articles, 39 book chapters, and 3 books. Dr. John MacKenzie is Chief of Radiology at Mission Bay Medical Center, and Section Chief of Pediatric Radiology at UCSF. He provides expert interpretation and consultation on pediatric imaging studies for a broad spectrum of congenital and acquired fetal and neonatal conditions and disorders affecting children and adolescents. Dr. MacKenzie is a nationally recognized expert in the imaging of the pediatric musculoskeletal system and is asked to lecture on this topic across the country. Dr. MacKenzie’s research focuses on developing imaging techniques for the detection and treatment monitoring of autoimmune diseases of the bones and joints. He studies how novel carbon-based imaging probes may depict molecular alterations in inflammatory arthritis, including rheumatoid arthritis, a disease that is common in adults, and juvenile idiopathic arthritis, the most common form of inflammatory arthritis in children. His long-term goal is to develop sensitive non-invasive imaging modalities to help guide the diagnosis and management of patients with common autoimmune diseases. Dr. MacKenzie has been awarded grants from the National Institutes of Health, National Academies Keck Futures Initiative Imaging Science, Radiological Society of North America and the Society of Pediatric Radiology. His work is published in 5 book chapters, 14 review articles, and 29 peer-reviewed research articles. 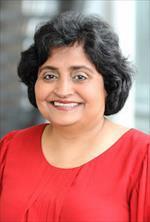 Dr. Sharmila Majumdar is Vice Chair of Research in the Department of Radiology and Biomedical Imaging and Professor in the Departments of Bioengineering and Therapeutic Sciences, Orthopedic Surgery at UCSF and Bioengineering at UC Berkeley. She is Director of the Musculoskeletal Research Interest Group at UCSF, an interdisciplinary group consisting of faculty, post-doctoral scholars and students. Her research work on imaging, particularly magnetic resonance and micro-computed tomography, and her development of image processing and analysis tools, has been focused in the areas of osteoporosis, osteoarthritis, and lower back pain. The program has brought in over 50 million dollars in grant funding over the last two decades. She currently heads an NIH Center of Research Translation focused on osteoarthritis and imaging, a joint effort between UCSF and UC Davis. Methods developed at UCSF have been translated into a multi-center study, funded by the Arthritis Foundation, to investigate the development of osteoarthritis in athletes with anterior cruciate ligament injuries.The link she developed between skeletal loading, biomechanics, and quantitative imaging bridges previous gaps of knowledge and may potentially help in precisely defining the outcome for patients at risk for developing joint degeneration. Linking biochemical markers of tissue degeneration to the progression of disease and pain brings imaging as an integral component in the field of precision medicine for joint health, a major issue facing not just the growing aging population but also younger individuals with very active lifestyles. She has published extensively in the Journal of Bone Mineral Research, Magnetic Resonance in Medicine, and other highly regarded journals. She also serves as a reviewer and is on the editorial board of scientific journals, and is a recognized expert in the area of imaging. In 2007 she was awarded the “Excellence in Direct Teaching and/or Excellence in Mentoring and Advising Award” by the UCSF Haile T. Debas Academy of Medical Educators. She is a fellow of the International Society of Magnetic Resonance in Medicine, and the American Institute of Medical and Biological Engineering, and is a distinguished investigator in the Academy of Radiology Research. Dr. Alastair Martin is an Adjunct Professor and Co-Director of the Image-Guided Surgery Specialized Resource Group in the Department of Radiology and Biomedical Imaging at UCSF. His research focuses on applications where MR methods enhance the delivery of therapy. His research specifically targets neurosurgical and endovascular applications where MR techniques can provide significant benefits. Dr. Martin primarily focuses his research on the development of MR guidance techniques for delivering deep brain stimulator electrodes to precise locations inside the brain and for delivering drug and gene therapies to the brain via convection enhanced delivery. He is responsible, along with a team of other researchers, for the development of the ClearPoint system, a groundbreaking surgical technique that utilizes image guidance to precisely place electrodes, laser fibers, or infusion cannulae into the brain. Another of his interests is the application of MR methods of endovascular procedures where he investigates safety concerns with endovascular devices within an MR system, He is also currently contributing to the exploration of deflectable catheters and MR active endovascular devices. Dr. Martin provides his services to many journals as a peer-reviewer. He has published over 100 journal articles, over 200 conference abstracts and 10 book chapters. 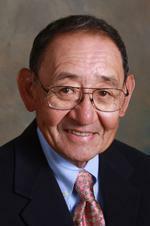 After serving two years in the U.S. Public Health Service, Dr. Hideyo Minagi was appointed to the UCSF faculty at San Francisco General Hospital in 1968, where he specialized in general radiology, and was credited by colleagues as possessing some of the best "eyes" in the field of imaging diagnostics in his time. Dr. Minagi officially retired in 2000, but remains on the radiology faculty at SFGH as Clinical Professor Emeritus, continuing to teach radiology residents and medical students for many years at San Francisco General Hospital. Dr. Mukherjee's primary clinical research is the study of neurodevelopmental disorders and traumatic brain injury (TBI) using advanced MRI. He and his research team established the biological underpinnings for sensory processing disorder, facilitating further research and enabling diagnosis. His studies have received attention beyond the medical community, including in popular media outlets. Among his other professional interests are computational neuroscience, epilepsy, functional MRI, machine learning, magnetoencephalography (MEG), pediatric neuroradiology, and traumatic brain injury. 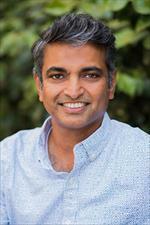 With special expertise in biomedical engineering and integrative neuroscience, Dr. Nagarajan has multiple research interests, including understanding brain plasticity associated with learning and disease, determining neural mechanisms controlling speech, and brain-computer interfaces. He focuses on the development and refinement of multimodal structural and functional brain imaging. He has over 150 peer-reviewed publications and has co-authored two books. Dr. Rehani has been involved in multiple projects teaching students internationally and addressing health inequities globally. She studied the neuroimaging findings of advanced HIV/AIDS in Africa and Asia, assisted in setting up polio camps in 2000-2004 in India, and volunteered as consultant radiologist and mentored trainees from Africa and Asia. She is also focused on U.S. health care reform and public policy for improving health care access. Her research focuses on advanced imaging, functional MRI, neurovascular imaging of stroke, brain trauma, development of imaging biomarkers for precision medicine to improve patient care and outcomes. Her interests also include: Health IT, cloud-based technological solutions and mobile health for innovative solutions to improve stroke and HIV care worldwide. With the help of an RSNA grant, she recently founded the RISE platform to teleconference UCSF radiology classes to medical students worldwide. A notable expert in musculoskeletal imaging, with scores of publications to her name, Dr. Steinbach served as an invited radiologist for the 2002 Salt Lake City Olympics. 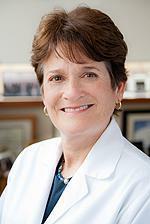 Her research and treatment interests include joint MRI, arthritis, cartilage, AIDS, tumors, spine, and osteoporosis. She has edited three books in the field of joint MRI, including one for orthopedists covering musculoskeletal imaging, and another on musculoskeletal imaging of AIDS. She is currently president of the International Skeletal Society and has served as president of the American Association For Women Radiologists and the San Francisco Radiological Society. Dr. Steinbach was voted a top doctor in the San Francisco Bay Area by San Francisco Magazine in 2016. Nationally known for his work on Alzheimer’s (and locally recognized as a talented jazz pianist), Dr. Weiner has identified various biomarkers that predict Alzheimer's disease, with the ultimate goal of helping find treatments that slow the progression of Alzheimer's. He is also interested in developing and implementing new techniques that provide improved diagnosis, early detection, and monitor durational changes in different treatment trials. Dr. Weiner was awarded the Ronald and Nancy Reagan award for Alzheimer’s research in 2011. Mark Wilson, MD, is Vice-Chair in the Department of Radiology and Biomedical Imaging at the University of California, San Francisco. He is Chief of Radiology and Chief of Interventional Radiology at the San Francisco General Hospital. One of Dr. Wilson’s major research focuses is the development and testing of magnetically navigated, coil-tipped angiographic catheters in the MRI environment and another is developing interventional MRI guided therapies that combines facets of Dr. Wilson’s background in engineering, interventional procedures, and MR technology. His clinical research is focused on how effectively interventional radiology manages different issues, the economic advantages of interventional radiology, and the contrasting roles of interventional radiology in the hospital setting. His specialties include non-vascular interventions, vascular interventions and non-invasive vascular imaging, and among his other interests are magnetic resonance angiography, computed tomographic angiography, magnetic catheter navigation, MRI-compatible devices, hemodialysis access interventions, interventional oncology. Dr. Wilson has published 84 articles, 5 book chapters, and 5 significant publications. 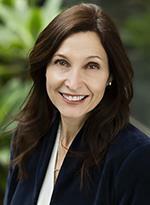 Dr. Zagoria has been Chief of Abdominal Imaging at UCSF since June, 2013. He also serves as Vice-Chair of Clinical Affairs. Dr. Zagoria specializes in uro-oncology with expertise in Abdominal Imaging. His additional research interests includekidney tumor ablation, urolithiasis, infertility, imaging and treatment, and contrast materials. He has written over 300 publications, which includes textbooks, book chapters, journal articles, and abstracts.